W219SN - "I LOVE RUNNING"
Exclusively Ours! 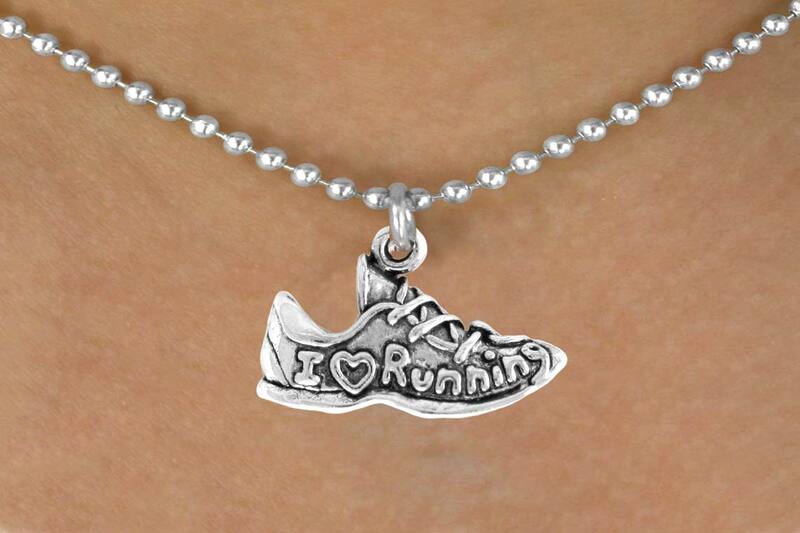 Lead & Nickel Free Shoe Charm Says, "I Love Running" And Comes On A Necklace Style Of Your Choice: Ball Chain, Regular Chain, Black Suede Leatherette, Or Brown Suede Leatherette. 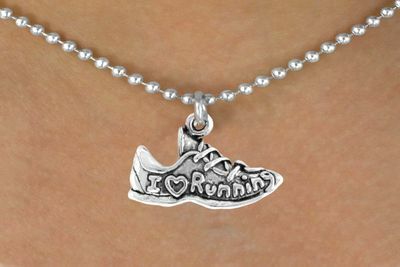 Perfect For Track Students, Joggers, & Runners! !